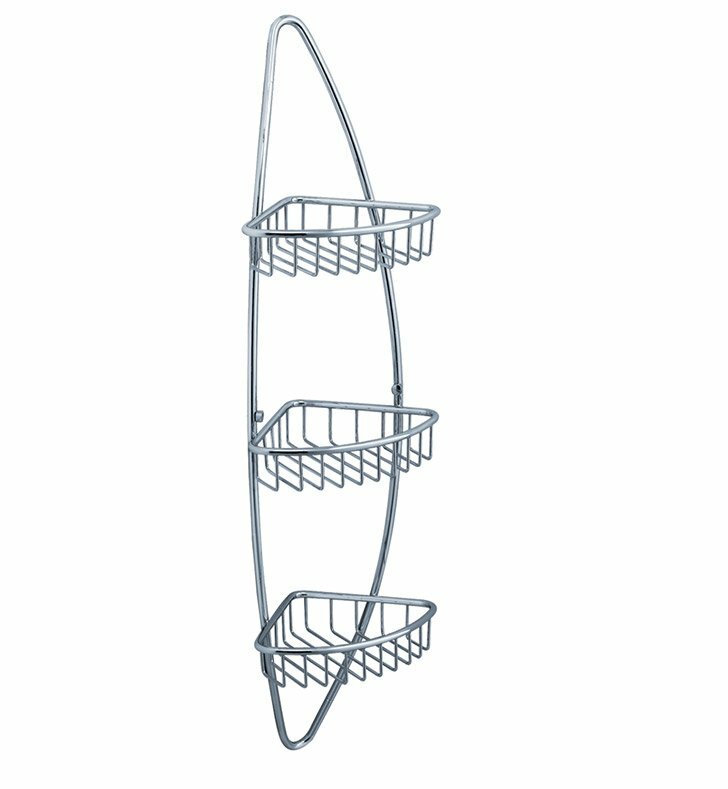 Simplify your bathroom with a Fresca Magnifico 3-Tier Corner Wire Basket, part FAC01015. It has plenty of room to store shampoo, conditioner, body wash and more. Each bathroom wire basket has a heart of solid brass and an attractive chrome finish, making it corrosion resistant, temperature resistant and aesthetically pleasing. The 3-tier wire basket measures 8 1/2" W x 6 1/2" D x 31 5/8" H, and it's easy to hang in any corner of your space. This product is very stylish , it fit everywhere , I like this product, and quantity is perfect. Buy this product because it is really, really good!